The career of Colombian singer-songwriter Juanes has been accompanied by the success of his seven recordings. In addition to the 25 Latin Grammy and Grammy awards he has won, his songs have taken 11th place in the Billboard magazine list.His varied performances include his participation in the Macy's Thanksgiving Day Parade, The Tonight Show with Jimmy Fallon, and The Late Show with Stephen Colbert. Not counting the 2010 Soccer World Cup. The Colombian singer-songwriter has also stood out for his activism through the My Blood Foundation, which through music promotes a culture of peace among children and young people in the areas most affected by the violence in his country. With a tour that includes 16 cities in the United States and Canada with the themes of My plans are to love you, Juanes embarks on a new musical adventure with Amarte Tour, his most recent album, and those titles that have placed him among the first places of popularity in the last years.The Colombian singer-songwriter will make a stop on the tour to offer a concert at the American Airlines Arena, which also will feature the participation of Chilean singer-songwriter Mon Laferte. Speaking to the New Herald, singer-songwriter said he was very happy with this new meeting with his fans in Miami and promised to give their best in each of the shows. It is expected that this concert will gather the energy of five musicians on stage who have proposed to give their best.Juanes also announced that it will be a very audiovisual proposal, a tremendous party with special effects in which there will be songs from my previous albums, such as I pray to God, Is for you, Black shirt, and the songs from My plans are love you, whose videos will be displayed on giant screens. This new musical proposal made a difference in the interpreter's discography by including a film filmed between Mexico City, Veracruz, Medellín and the Sierra Nevada de Santa Marta, Colombia. It is about an astronaut who seeks true love through time and space. 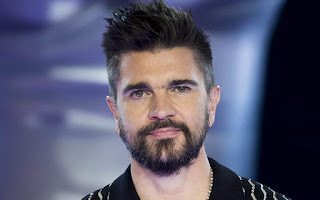 According to Juanes, he is very proud of that album because the phonogram represented a creative challenge to which he devoted all his love and effort. In the same way, this work approached a young audience that did not know their music. Regarding the timely collaboration with Mon Laferte, Juanes said that it arises as a result of a meeting in Mexico, in the record label of both, which gave rise to the duo of Love Me, one of the themes that will be heard during the show. To the musician's consideration, Mon Laferte is a spectacular singer. He was very impressed by his voice and his aesthetic. Juanes added that in addition to Love Me, they could also sing a tango, or a bolero, they have not decided yet. The Chilean singer-songwriter living in Mexico City is considered one of the rising stars in the world of Latin song. Thanks to the success of her album The braid, MTV named her the Best Artist of Mexico, in 2017. In her career there are concerts in the famous International Song Festival of Viña del Mar, Chile, and with the tenor Plácido Domingo.